The raw emotion of each and every song make this debut 10-track "Church of Scars" both the beautiful satisfying album debut for Bishop Briggs and leaves listeners anxious to hear more. From start to finish this album showcases a vocal talent which is unique, passionate and attention grabbing. "Water," the song from the video above, moves the listener and stirs up feelings each and every time they listen to it, and I have listened to it more than 20 times in less than 24 hours. The vocals start slow and smooth and flows to an almost gospel chorus. The lyrics include some great symbolism which listeners can easily relate to and not only listen to the lyrics being sung but feel the meaning as well. 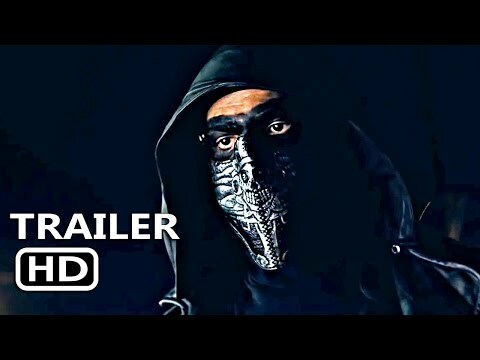 Much like "Water,' "River," which had already been released on Briggs' Youtube channel, brings a familiarity and connects the sound of the album. Each song is a tear-jerker, which is testament to the care these tracks were given to be able to be universal. A combination of metaphors throughout the album seam to imply a sense of freedom and being better off, such as in the song "Lyin'" which although being a slower track can hit hard with deep meaning. The melancholy song can have both a sense of relief and sadness while walking the line of hopeful. "Hallowed Ground" continues the sense of self-importance with a sensitive feel and yet it beautifully brings forward a strength. The combination of heavy instrumentals and powerful vocals makes this an anthem for anyone who has ever had a broken heart. Previously released song "Dream" is one of the tracks which showcases the songwriting and vocal talents which makes "Church of Scars" the treat for the ears. 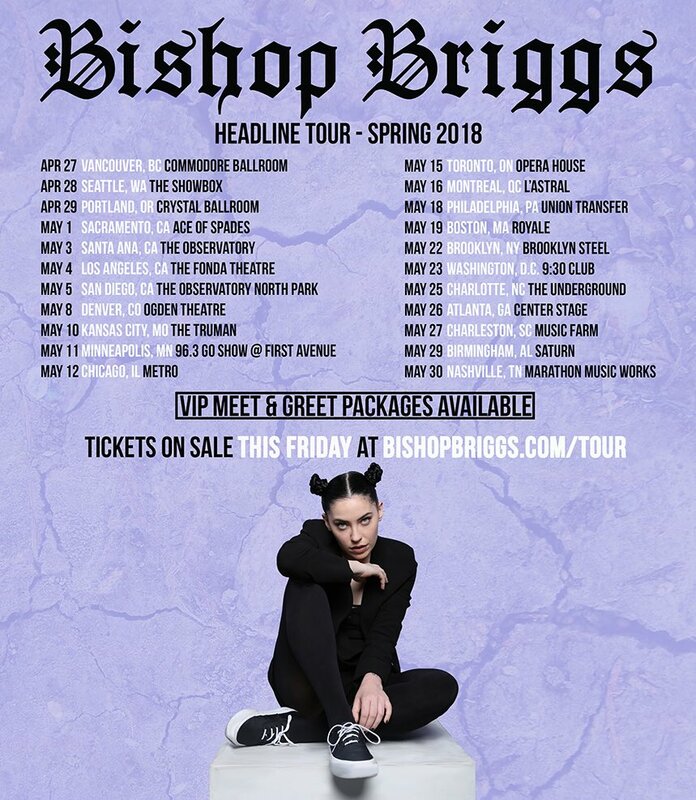 Bishop Briggs' debut album "Church of Scars" is available now. For those who follow me on social media, music is a big part of my daily life and I am quite the music snob. I also cannot stop praising the talent of this wonderful, talented singer. 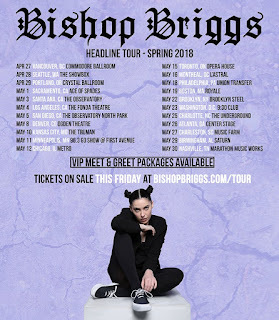 Bishop Briggs hits the road on her Headlining Tour starting on April 27 in Vancouver.